Showing recent results 346 - 360 of 4500 products found. 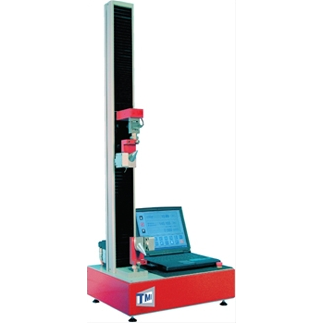 The Vibration Tester can display the parameters of “Displacement”, “Velocity” and “Acceleration” simultaneously; Applied to the periodic motion measurements to detect moving mechanical imbalances and misaligned. Designed for on-site measuring various mechanical vibration, for quality control, running time and prior equipment maintenance data. Selection of high-performance accelerometers to achieve accurate, replicable measurement It has a bearing condition measurement function. Using OEM approved technology, EVAP leak testing is made quick, simple and accurate. The UltraTrace UV smoke solution used to generate smoke leaves a UV light-traceable mark that pinpoints the source of the vehicle leak. 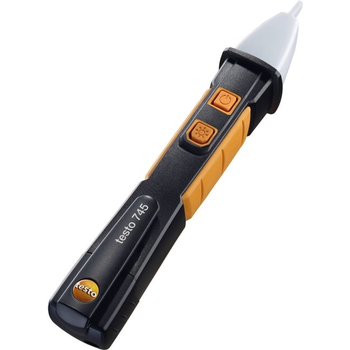 The tester is a mulit-functional device that can be used not only for EVAP testing but also for testing of oil leaks, exhaust leaks, wind leaks, EGR leaks, and many more. 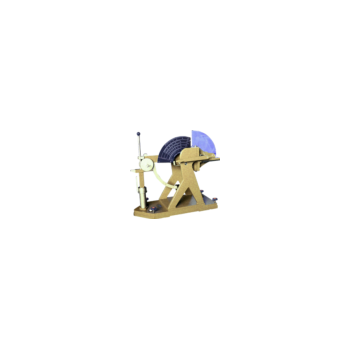 The burst strength tester is a static test, and the punching strength is a dynamic test. Used in conjunction with the burst strength testing machine, this machine is an indispensable instrument for checking the structural strength of corrugated cardboard products. This machine can test general cardboard, corrugated board, plywood, plastic board and fiber board, and so on. The impact head is a pyramid to break the test piece. 84-02 - Testing Machines, Inc. 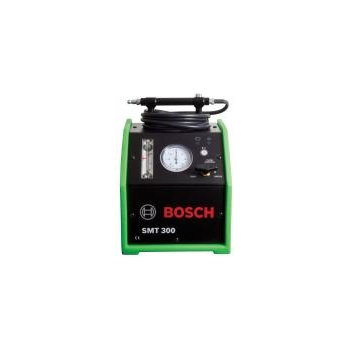 The 20kN is a single-column Universal Materials tester that can be programmed with up to 100 different test methods. Testing capabilities include Tensile, Compression and Flexural based on the type of grip or fixture supplied for the required application. A selection of load cells are offered allowing force measurements from 1 gram to the maximum capacity of the test frame. These tests range from the most basic to the most sophisticated machine control, all with full graphics and statistical display. They are ideal solutions to testing problems where there is a need for precise, efficient and consistent performance. 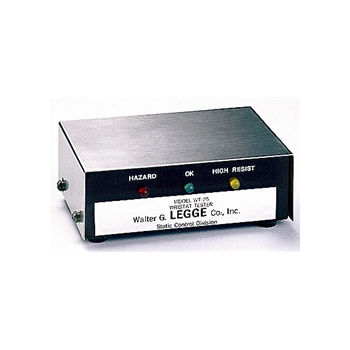 WT25 - Walter G. LEGGE Co., Inc. The WT25 WRISTAT Tester is designed to test the integrity of our WRISTAT in a fast, efficient and simple manner. All of the elements of the WRISTAT - continuity of the strap, integrity of the protective resistor, and satisfactory strap to skin contact are easily confirmed by pressing the top cover of the WT25. The operator (wearer) is tested for a resistance to ground of greater than 750K ohms and less than 10M (switchable to 100M ohms). WFT-20 is a PDA based Wi-Fi tester for scanning, analyzing and optimizing 2.4/5 GHz WLAN, which operates on IEEE802.11A/B/G/N standards and allows user to evaluate entire network and each channel’s status, detect and monitor AP with MAC address, SSID, data encryption and RSSI signal level information. 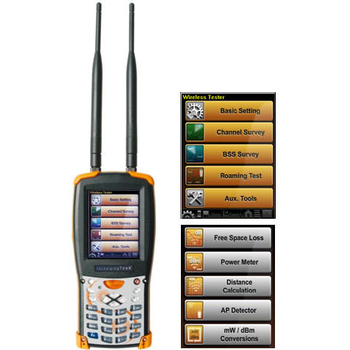 WFT-20 also provides utility tools like Free Space Loss, AP Detector, Power Meter, Client Finder, Distance Calculation and mW/dBm Conversion. FOD 1203 - Fiber Optic Devices Ltd. The Optical Tester FOD 1203 was specifically designed for technical support personnel to take a variety of measurements with a single meter. 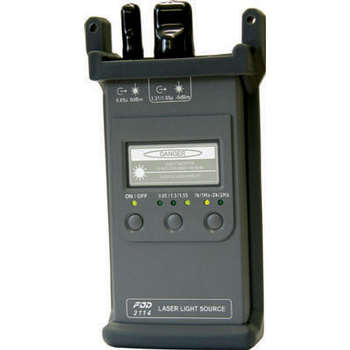 The FOD 1203 is an updated version of a popular in the industry Optical Power Meter FOD1202 with a built-in light source at 850, 1310, or 1550 nm wavelength. This device not only measures optical power, but also attenuation and continuity in connecting cables. 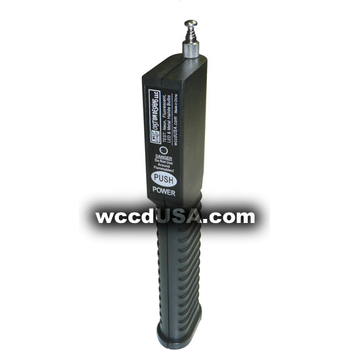 Three voltage indications: Solenoid vibration sensing, electronic neon visual indication, and audible buzzer. 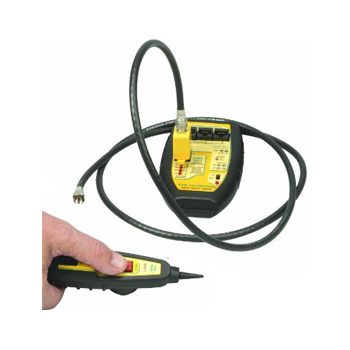 Positive AC/DC voltage identification: 6 to 600 VDC 60/50 Hz. Electronic buzzer indication for AC/DC voltage and continuity. Self-extinguishing, high impact sealed case and prod assemblies preventing dirt, dust and small objects from enter ing the tester. 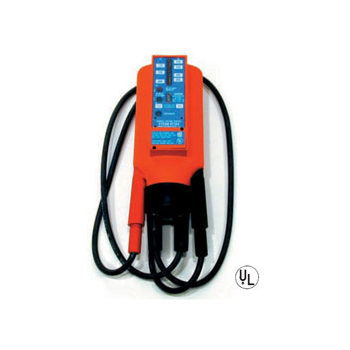 Dual voltage indication: Solenoid vibration sensing and electronic neon visual indication. Positive or negative DC pole identified by neon lamp. Durable metal probes capable of piercing insulation covered conductors. Self-extinguishing, high impact sealed case and prod assemblies preventing dirt, dust and small objects from enter ing the tester. 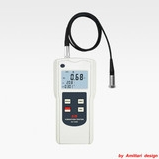 Non-Contact Voltage (NCV) tester quickly checks for the presence of voltage in AC powered systems. 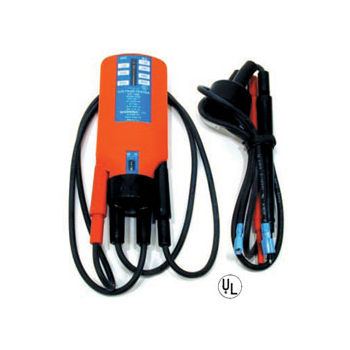 It can be safely used up to 1000 V AC. When AC voltage is detected, the testo 745 gives indication by flashing of its RED LED tip and buzzing of its internal audible buzzer. You can easily determine the hot and neutral legs of an outlet without time consuming and risky removal of the outlet from the outlet box. 3000C - Tescom Co., Ltd.
TC-3000C Bluetooth Tester is able to analyze the data of every packet that is transmitted to the upper application protocol layer using the protocol stack, which is developed by us. 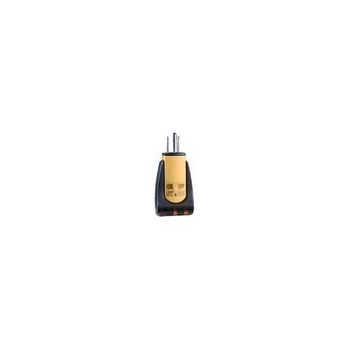 In addition, it enables the user to examine the transmitting and receiving signal function. 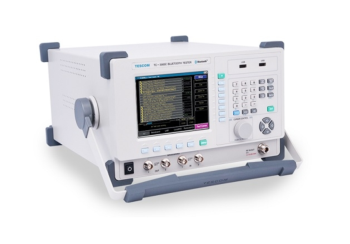 Since it has built-in signal waveform analysis functions such as spectrum analysis, modulation analysis and period power analysis, this enables the user to perform various RF tests simply and conveniently. No more time-consuming diagnostics using Prints, Continuity Meters, DVMs and wasted manhours. Just plug in the JT-2 and localize the problem – right away – right in the aircraft. 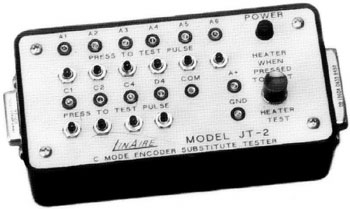 When used with a Transponder Ramp Tester, checks Transponder C-Mode Operation, the Installation and, by substitution, the condition of the C-Mode Encoder. This unit make Encoder, Installation, and Transponder checks so simple and fast that it pays for itself with one use. Every technician will want their own JT-2 once they discover its remarkable utility.